Silly exercise device du jour: One of those automatic bicycles that shifts gears for you. I'm trying to think of a situation where this would be a good idea. I can see it can help people who're completely unused to bicycling get used to bicycling, and that's a good thing. My sister, for example, got one of these after not having been on a bike for 20 years. It's a start, like training wheels before you learn to balance. If you feel overwhelmed with trying to keep upright, not wobble to far into the road, and keep pedaling at the same time, it might help to have one less factor to try to deal with. This bicycle might work for taking short trips on fairly level and isolated bike paths , but I wouldn't want to ride it on the road. It's like learning to balance . You need to learn to shift for yourself. * Sometimes you need to be in a gear for a certain reason. If you're trying to warm up, you want to spin in low gears, whereas if you need to get the hell through an intersection before the moron in the red sedan mows you down, you'll want to be practiced enough to shift into a high gear so you can fly. * Sometimes you'll round a corner and see a steep hill up ahead . Not to lose momentum, you'll shift down into a better gear a little before you need to. This self-shifting bicycle doesn't come equipped with eyes; it can't see ahead. You'll find yourself losing momentum while the bicycle takes the time to think "hmmmn... getting steeper here, maybe I should shift." * Also sometimes the terrain is rollers, a situation where you are going up and down over very small hills (like stretched out bumps, really) . If you've got a rhythm going, your body is in a routine, a comfortable cycle of motion that by repetition becomes something you don't have to think about. If your bicycle detects a change in the level of the terrain and decides to shift for you, you're thrown off your rhythm and have to re-condition yourself, get back into the groove. That's a pain. Okay, yes, I can see a few reasons why you'd want this bicycle. But I can see a whole lot more reasons why you'd be better off with a bicycle that lets you do the thinking/planning/shifting. Obligatory note: I have read a few positive reviews of auto-shift bicycles. Seems to me that the reviews were written from the perspective of someone who wanted to get around town occasionally and wasn't interested in using bicycling as a way of getting into shape or of seeing the countryside. I'm including the links to these reviews below. Popular Mechanics thought this bike was the bee's knees. Crave wrote it was for the "easily daunted" cyclist. I'd be interested in some more reviews from people who've tried these bicycles. Am I being too critical? Too dismissive? Cranky minds want to know! p.s. Ending on a positive note, I have to say these Monkey Lights are really cool. 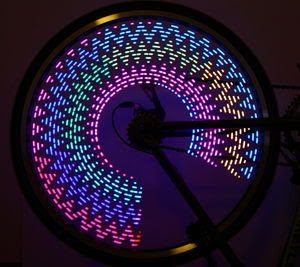 You can generate all kinds of neat patterns on your bicycle wheels while you ride. It's fun. Kind of like putting a baseball card in your spokes when you were a kid, only you can justify the expense of these because it's a safety issue. Yeah, that's it. I'm with you--a bike that shifts it's own gears seems kinda silly. No offense to your sister, but it seems like it would make more sense if you're just learning to buy a real bike and practice shifting the gears in a parking lot for a while until you get the hang of it, rather than be stuck with a bike you'd grow out of in a few days. That said, I'm just getting back on the bike after a couple of decades of not riding, and I keep forgetting that the two sets of gears shift in OPPOSITE directions on my handlebars. Don't know how many times I've been on a hill, intended to shift into an easier gear, and ended up going into a harder one instead. But even with my bonehead shifting moves, I'd still rather be in control. Note: I never learned a stick-shift in a car though, and always resent it when people say everyone should. I just don't wanna! Sometimes I think, are we getting that lazy that we need auto pilot shifters for a bicycle? Can't we be more present in our exercise? Although, for just trolling around town I can see where the autopilot shifter would be handy. With gas getting close to $5 here in CA, the bike is looking better every day. I'm totally with you! If you're new to biking, find an empty parking lot and practice shifting. It's really simple once you get the hang of it. And I had the same problem as Crabby when I started to ride again. I have to remind my self frequently that the left hand shifts differently than I think it does! Then again, you've got people like me; I rarely shift gears. It drives my husband crazy. "It's bad for the bike!" he says. Bah, it's a 50-buck department store bike I got as a hand-me-down from my then-12 year old daughter 5 years ago, and it's just fine. I like pushing really hard to get going from stop-lights or to go up-hill; instant interval training. OUH!!!! SHINY PRETTY LIGHTS!! MUST HAVE! Well, I was going to argue with you, stating that though I can drive a regular transmission car, I love my automatic, but really, your reasons against the self shifting bike were all valid and I agree with them. You win! I got my bike out of the garage last night for the first time in about 15 years. It took me ages to remember how to shift the gears - and I'm always scared of the chain coming off mid-shift. That said, it felt great to be on two wheels again after so long. btw - cool lights - want some!!!!! sorry about the double comment - stupid computer! At the risk of being a total nerd, just wanted to mention that the phrase "short shrift" comes from an archaic verb referring to the performance of penance (so it's totally appropriate to use when talking about exercise). Giving someone the "short shrift" kind of means you're letting them off easy--but there are other alternative meanings (like you're considering something because you kind of have to, but you're impatient to get it over with). If you really, really, really don't want to be bothered shifting gears, then get a fixed-gear bike. Oh, dear, my age is showing!! I never learned to ride a bike with gears! 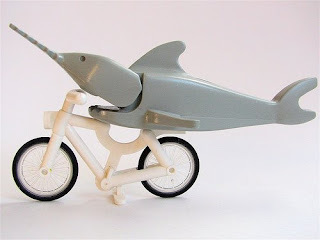 My sister had one, but I never did - I was content to use my old fixed gear bike. Never did get the hang of shifting gears on hers. All the reasons for shifting your own gears on the bike are my reasons for having a manual transmission on the car. Yes, I think I'm smarter than my car! On the other hand, when I borrowed my friend's bike back in 1983 (?) to practice in the school parking lot across the street, I gave up without learning anything. I couldn't tell any difference in the gears, and the parking lot was on a hill, so I could go up and down, or go from side to side on the level. Maybe I'm not smarter than a bike? Automatic bike seems odd...kind of like an automatic car. Now that I have a standard I don't think I could go back to automoatic...and I just don't see biking as that difficult to need an automatic. It takes a bit to get used to having a bunch of gears, but it's not exactly rocket science. Even little hick town me who grew up with a banana seat bike with no gears picked up on the multiple gears thing pretty quickly...I'd be annoyed if I couldn't adjust the gears...and I don't think you'd get the same amount of exercise. I like biking to work - good for me, for the earth and I get a bit of exercise all in one. NOT commenting on biking because I don't. Last time = 15 stitches through eyebrow. (before helmets were popular). But the monkey lights are cool! I have a friend whose wheelchair is equipped with one of these. Alledgely a real cool message might appear if she let her wheel chair go straight down one of the SF hills.. and she got her speed way up. In the meantime, we simply admire the pretty colors. Boooo, I wish I could ride any kind of bike, but I'm a scaredy-cat. When I was 13 I broke my teeth, chin, and jaw in a horrible bicycle accident. Had my jaw wired shut for 8 weeks and was the freakshow for the entire 8th grade. Good times! One day I'm going to get up enough courage to ride again. There's a memory! When I was 14, I was playing bike tag with a friend. Got my front wheel spokes into his pedal and flipped my self over, face first into the asphalt road! I was knocked out and blood everywhere. 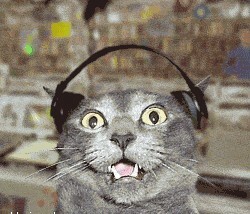 When I woke up I heard a lady yelling, "there's a doctor three houses down!" I went there and lucky me, he was a surgeon and he stitched me back together! I really hope you are OK and can ride again one day. Awwww, thanks Dr. J! Yes, I had some pretty good people working on me, my dentist even took me in on Sunday and repaired my teeth. Got my chin and lip stiched up and the surgery to wire my jaw shut went okay except they couldn't find my normal "bite." So they "wired it shut" after I woke up. Fortunately children seem to bounce back really quickly...unfortunately I was taken to the ER about once a year for whatever mess I got myself into. I really loved riding my bike, and I would love to get back on again...maybe after 15 years has gone by? This year makes #14! :) I'm glad you're okay too - something about that surgeon must have sparked your career path! Wow, awesome comments! Archaic verb definitions and bicycle wisdom all in one place! And I'm impressed by all of you who do just fine on a single-gear bike. When I hit hills of any size, I NEED those lower gears! maybe if I got me some monkey lights? Now, of course, after years of driving, my legs and knees are not what they once were, but the bike only has 7 speeds. I can't seem to find the right gear, ever - it drives me nuts. Maybe pretty shiny lights would help. Of course, it doesn't get dark until 10.00 pm, by which time, I am not out riding my bike. In the fall, they would show up. .........i didn't even know you had to shift gears on a bycicle. haven't ridden one since i was a kid....... i feel stupid. I think the bike that shifts gear ratios itself is a great idea if you add a shifter to set how many rpms you want to pedal at! Then you can add some preset buttons like car radios have for the stations and label them things like "spinning", "get the hell out of the intersection", "i am getting tired ease up", etc. I mean honestly, how in the world am I supposed to care if there are 42 teeth on the front and 16 teeth on the back so that means I am at 2.625:1 and if I shift to the next size down at 14 teeth I will be at the next available ratio of 3:1. Yuck, let me pedal at 40 rpm and the bike can worry about shifting in the hills. I dunno... I've just started looking at getting into bicycling again and was floored to see they are up to 20(!!!) gears, so it sounds like it's not that bad of an idea to me. Why do you need so many gears if you're not a racer? And do you have any suggestions for someone who doesn't know how much they'll ride and doesn't want to put a lot of money into this (yet)? I don't think I want what we used to call '10-speeds' in the day (wow that makes me sound old!) - the ones with the U handlebars and skinny wheels. They've also got 3-speed bikes that can look pretty cool. It makes sense to me to buy a bike with 20 or so gears if you live in a hilly area or might possibly get more into riding later on. I know you can buy used bicycles from thrift shops or places like that, but please, /please/ go to a 'real' bicycle shop and get sized first. And then once you've bought the cheapo bike that's in your size, go back to the 'real' bike shop and buy the most comfortable seat you can find. Do not skimp on bicycle seats or you'll pay in the end, as it were. Thank you so much, Merry!! I do live in a hilly area, but it's dangerous enough driving in a car - I wouldn't dare ride a bike near my home. I'm hoping I can find one that will fit easily in my car, so I keep it in there most of the time (I have a Honda Fit), and I also want to be able to ride with my dog (that I can't keep up with walking). I had no idea they still made 3-speeds, and will keep an eye open for one. I've never seen a bicycle in our thrift shops here, but I'll keep watching. A coworker in another department rides a bike on occasion so I talked to him briefly yesterday, and he gave me the name of his favorite bike shop that he says has more used bikes than new - YAY! I'm stopping by today after work. LOL I do remember those skinny bicycle seats - I can't believe anyone finds them comfortable! The last truck I drove for a paycheck had an automatic transmission. I didn't like it for the first week, but I eventually found that I wasn't nearly so tired, physically and mentally, at the end of the day. Bear in mind, my previous truck had a 15-speed transmission and 400 Cummins diesel engine. Because I shifted gears while I was working, I prefer not to shift gears while driving my car or riding a bicycle. There are sound, valid reasons why automatic transmissions don't work in 40-ton trucks, no reason whatsoever not to use them in cars, motorcycles, or bicycles. I want a bike with full suspension, automatic transmission, and an enclosed shaft drive- with a total weight under 20 lbs, please. And, oh yes, I want it to be more efficient than a derailleur system. I'm 31 years old and still ride a Robinson, BMX, everywhere, one gear. It's a workout and thats what it's supposed to be, a fun workout. Whole Wheat Whining; Plus... Plug for Panko? Celebrate Pet Your Peeve day!